Signs of the Times have been making signs for UK based Rotary Clubs for many years. 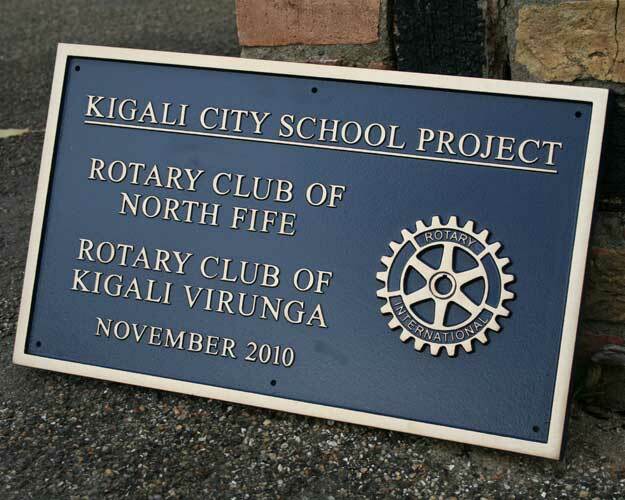 As well as signs to mark the Rotary club meeting rooms our work has been sent all over the world to commemorate the clubs’ sponsorship of various projects. The Rotary Wheel has also been commissioned as a stand alone symbol from a few centimetres across, to fix to a lectern, or up to over a metre in diameter. 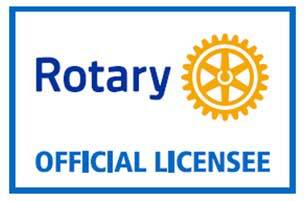 Signs of the Times Ltd are licensed with Rotary International to sell signs with the Rotary Wheel. Letters, border and Rotary Wheel are all realised in relief or engraved. Background colours are spray finished and the relief detail is all hand painted by our talented artists. 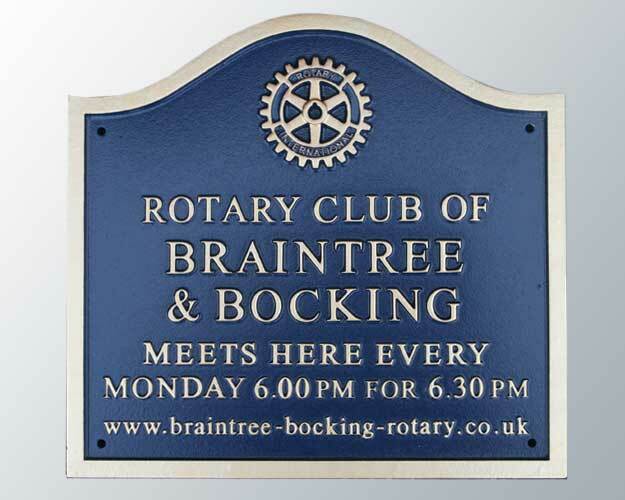 Signs can be single or double sided (two cast panels) curved to fit convex or concave walls. We are always pleased to give advice to our customers with regard to layouts. Signs can be drilled for wall fixing or we can supply aluminium posts etched and painted to match, complete with fixings.